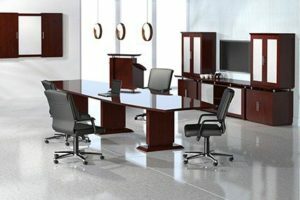 Bold and modern with contemporary crossover styling, Sterling Series offers an impressive line of desks, reception furniture, unique storage offerings and conference furniture. With rich textures and luminous accents, the winning collection reflects confidence and showcases a sense of prestige and refinement. 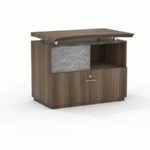 Sterling Collection takes workplace furniture to new levels of sophistication with rich laminate finish options that merit genuine admiration. 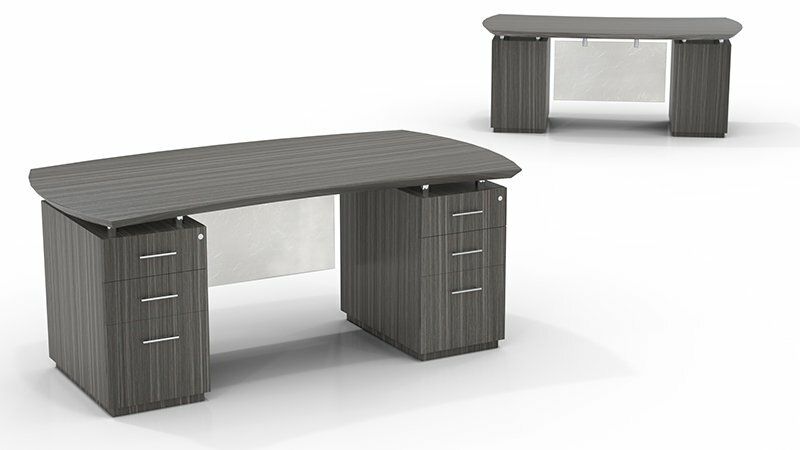 This modern laminate desking system combines both beauty and functionality. The 1 5/8” thick work surface has a beveled edge that blends harmoniously with its’ distinctive curving work surfaces. The sliding hutch doors and modesty panels are made of 3/16” thick acrylic. 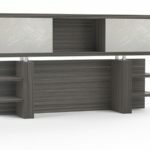 Modular hutch design enables left or right hand configurations, or can be wall mounted. 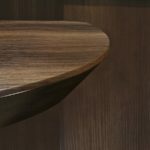 Curved Floating Worksurfaces. 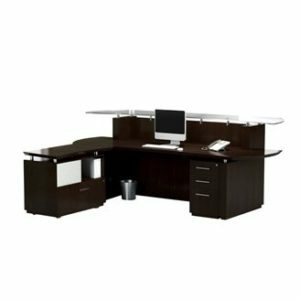 Sterling Series laminate office furniture offers a touch of elegance with its distinguished sweeping curves and textured worksurfaces. Acrylic Panels. 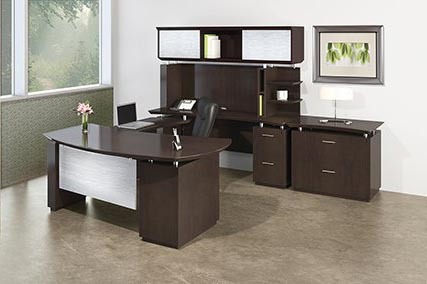 Desks and Storage items share a common Acrylic modesty panel and opaque sliding hutch doors complement other office elements. Storage Options / Occasional Tables. 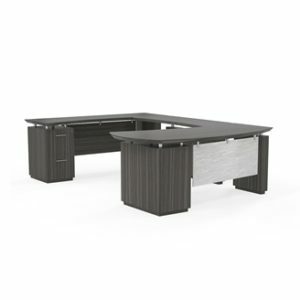 A variety of upper and lower storage options and matching occasional tables complement the contemporary style. Beveled Edge. All top surfaces feature a beveled edge along with chrome stand-offs that provide just the right amount of distinction. Bring your meeting to order. Sterling’s Laminate Conference Series offers a touch of elegance with its distinguished sweeping curves and textured 1 5/8″ thick work surface. Available in 8, 10, 12, 14 and 16 foot lengths. A variety of conference room accessories are also available.